The January gym rush has been and gone, and your New Year’s healthy eating regime is still going strong. But every now and again something happens to try and derail your progress. The 9th February sees the return of National Pizza Day! But don’t reach for that take away pizza menu just yet! We’re here to help with a selection of healthy pizza options that will help you kick your pizza cravings and stay on the right track the tasty way! The first option comes from fitness fanatic – The Body Coach and his ‘Lean in 15’ healthy meal plans. This option is great for a post workout meal – easy to make and only takes 15 minutes. This gluten-free cauliflower and ground almonds pizza crust is the perfect option for a lighter choice to kick those pizza cravings. 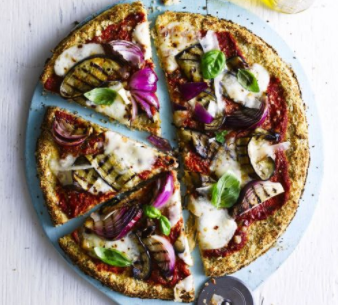 To find out nutritional information and more advice on how to cook the ‘cauliflower crust pizza’ click here. 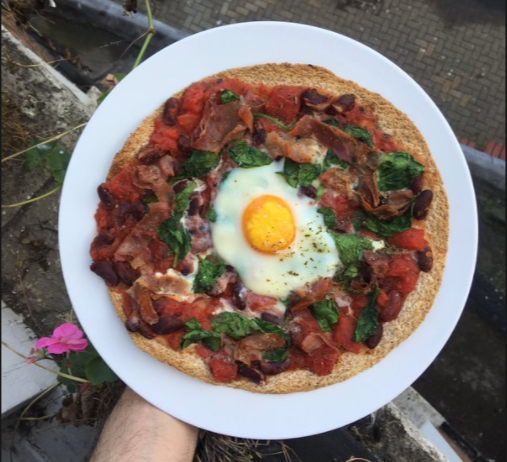 Looking for a no-carb pizza option? We’ve got just the thing for you! This chicken breast base pizza is packed with flavour, full of protein and no sign of the dreaded carb crash it’s also a healthier alternative to the popular ‘meatza’ (minced beef base)! Add chopped tomatoes and a mixture of vegetables for extra taste. 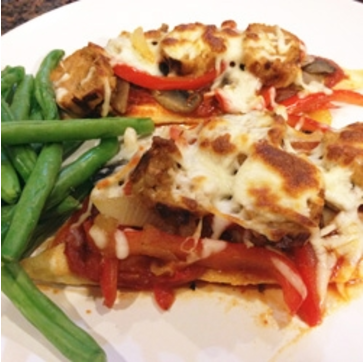 To find out more about the chicken breast pizza base and how to make it click here.